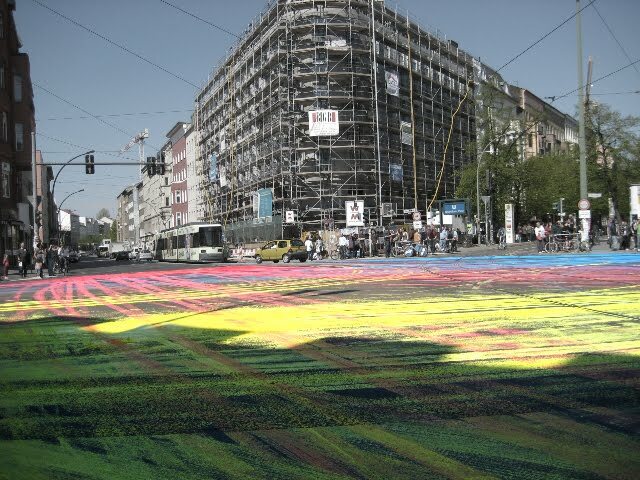 Neon paint was dumped in the middle of Rosenthaler Platz in Berlin early one morning recently to create colourful chaos. Drivers cursed the Platz painting guerillas as they unwittingly spread the paint through the Platz creating neon rainbows as they drove by. What a great Idea - love it.